My buddy Greg and I spent a couple hours in the flooded timber yesterday morning. The first hour or so I was videoing and got several minutes of close-up footage of wood ducks. Nothing terribly exciting, but they sure are pretty to watch. Does anyone know what the duck was doing at 2:15 when he puffed up the feathers on his head? Was that a mating display? Please leave a comment if you know. I'm just curious. 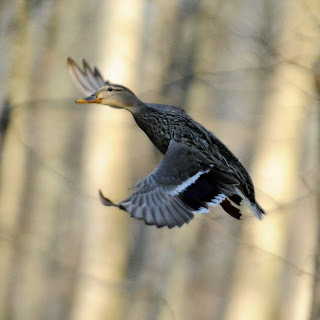 As soon as I picked up the still camera the woodies disappeared, but some mallards worked in and I got a few good photos of hens flying. The shot of the day was when a greenhead dropped in and seemed to freeze in mid-air with the sunlight just gleaming off his head like an emerald. What was I doing? Picking up decoys, of course. 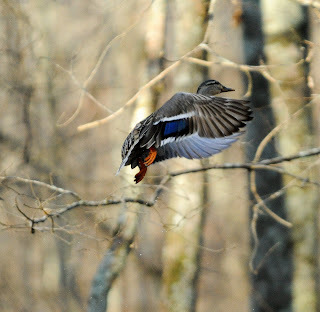 I'm here to tell you that getting good photos of ducks flying is five times harder than killin' 'em. 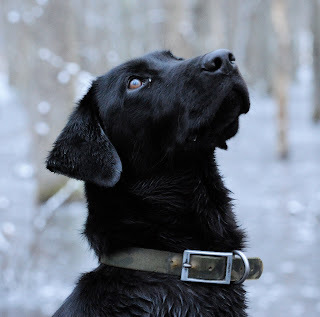 I'm sure Ann was perplexed as to why we had forgotten our guns (and the scooby snacks, of course), but she did an awesome job of sitting still while ducks landed almost on top of her. ya, duck huntings alot of fun!